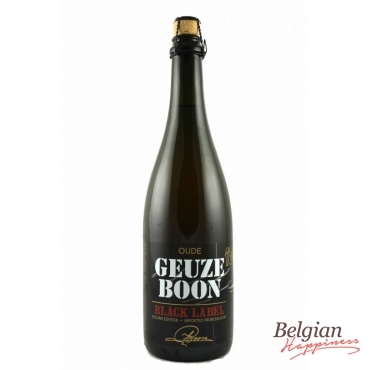 Boon Oude Geuze Black Label 2nd Edition is a very dry Oude Geuze with almost a 100% degree of attenuation. It has a clear golden color, low carbonation, balanced sourness and tastes of green apple, grapefruit and a long dry aftertaste. The Lambics used for this blend have matured for 1, 2 and 3 years on oak foeders.